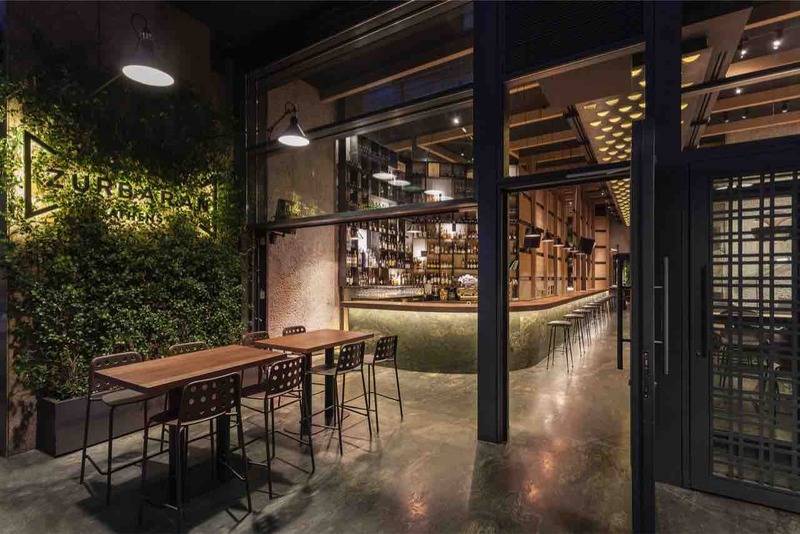 Innovative lighting company, Soraa®, was honored to partner with lighting firms L4A and Okapi Light to help a contemporary Mediterranean restaurant blend a modern aesthetic with a long-standing Athens neighborhood steeped in history and tradition. Zurbaran is a Mediterranean restaurant that opened in March of 2017 by renowned chef Hippocrates Anagnostitelis in the historical neighborhood of Kolonaki in central Athens. The trendy neighborhood still features some of Athens’ classic Greek architecture and is home to museums and historical sites like the Benaki Museum and Kolonaki Square. Creating a beautiful, modern restaurant environment, while still paying homage to the incredible history and tradition of Athens is no small feat. 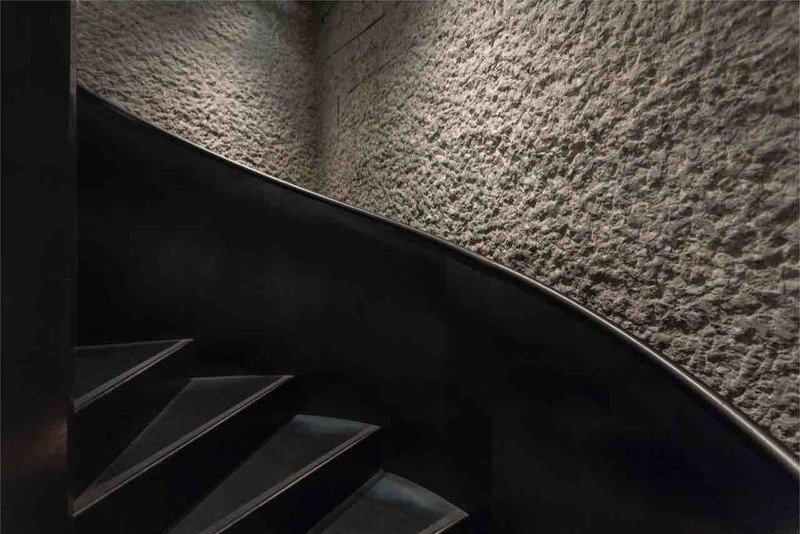 Soraa was chosen to provide the lighting products that would bring the architects’ inspiration to life. “Light has an amazing power to transform a neighborhood like Kolonaki allowing it to capture the energy of a modern, vibrant Athens while connecting it to the rich history of everything the city was and represents.” said David Smith, Director of International Sales at Soraa. 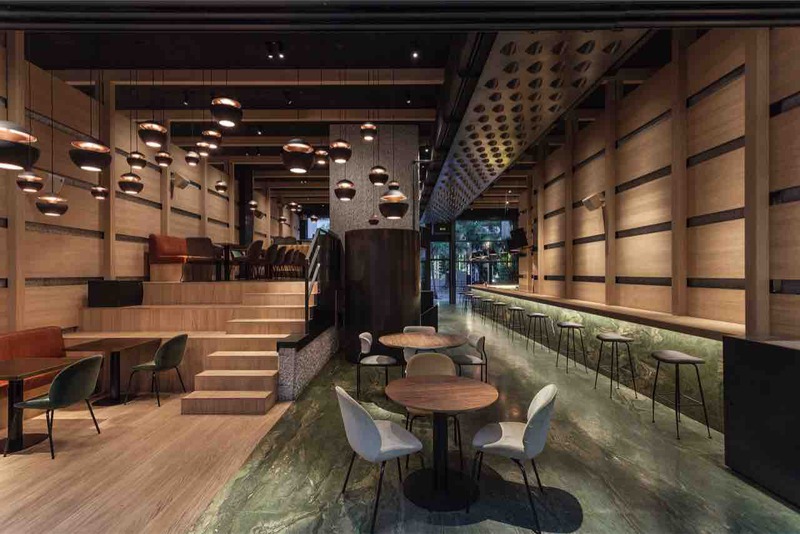 Architects, Maria Kokkinou and Andreas Kourkoulas, created a space that helped cement the restaurant as part of a new architectural trend called “Urban Athens”. To help bring these elements to life, lighting design companies, Okapi Light and L4A used light to play an important role in the design process, giving the team the ability to capture a perfect mix of past and future in a way that feels warm and inviting. “​The warm lighting in ​Zurbaran along with ​the ​hanging lights float​ing over the tables emulate stars. 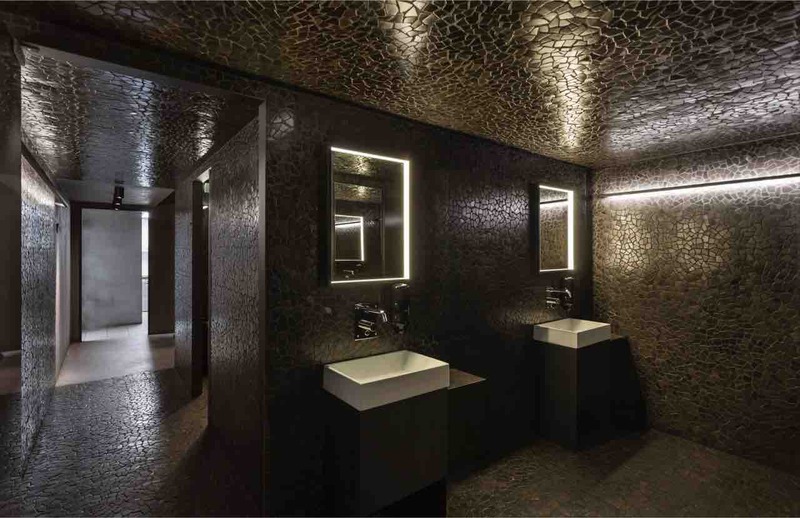 The ​rough textures of the concrete walls soften with the light, while the very industrial structure of the bar ​embeds lighting within it, showing a cubic ​play that fills the ​space with ​colors.​” said Mariza Galani, co-founder and lighting designer at Okapi Light. 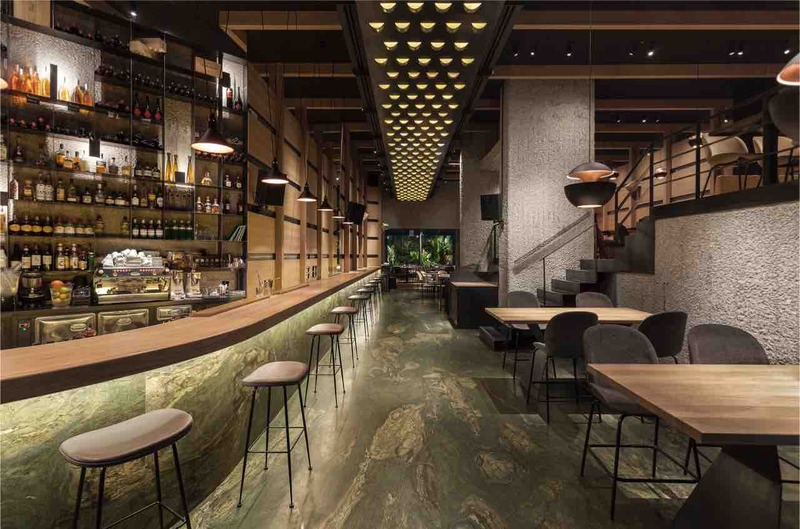 “We had a vision when we set out to create our restaurant and bar that meant every aspect in its design was looked at with a critical eye,” said Charis Spyrou, with Zurbaran Athens. “The lighting gave us the flair and distinction we were looking for which means our food and custom drinks look amazing and our patrons feel like they are truly experiencing something special”. Founded on breakthrough Nobel Prize-winning LED technology, Soraa has been spreading simply perfect light since 2008. Known for their full-spectrum lamps that provide unparalleled color rendering ability, Soraa lighting is used in art galleries, world class museums, and luxury retail stores around the globe. 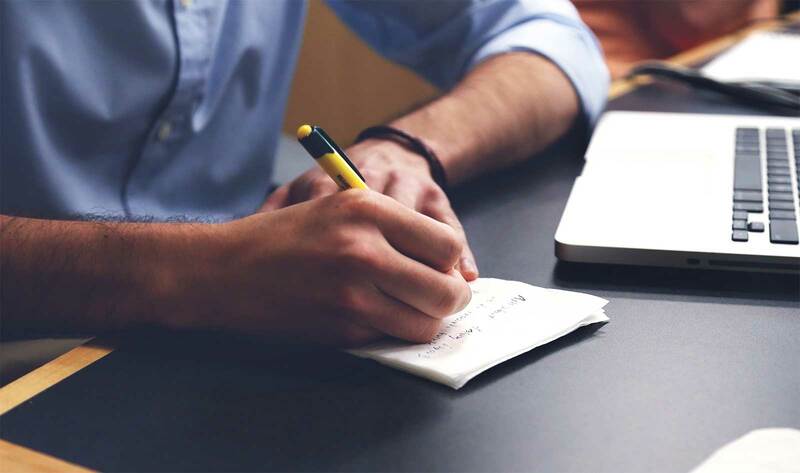 Visit us @ www.soraa.com and follow us on Twitter, Facebook, Instagram, and LinkedIn. Soraa is a registered trademark of Soraa, Inc.